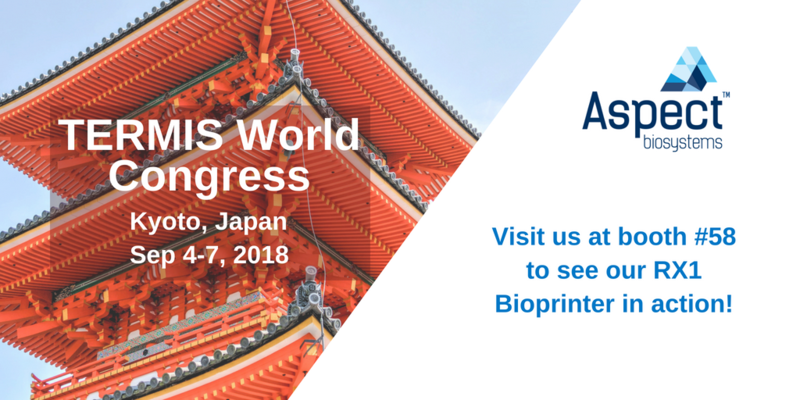 The Tissue Engineering and Regenerative Medicine International Society (TERMIS) is hosting their 2018 World Congress in Kyoto, Japan and we will be there with our RX1 Bioprinter. While the three regional of chapters of TERMIS (Asia-Pacific, Europe, and Americas) hold an annual meeting, the World Congress combining all chapters is held once every three years. How can you engage with us at TERMIS? Contact us if you wish to schedule a meeting with us at TERMIS.